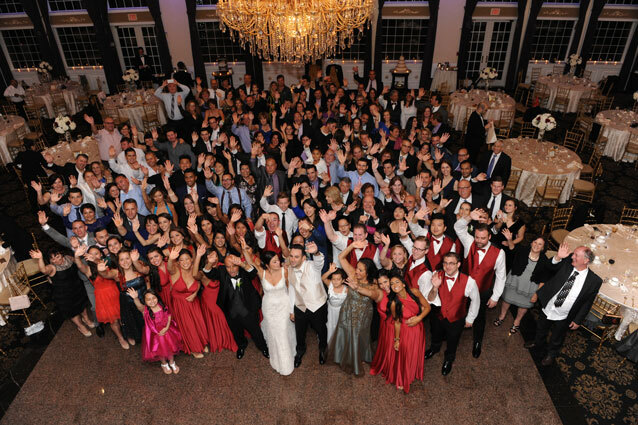 The magnificent wedding celebrating the union of Galya and Bryan located at the Estate at Florentine Gardens was intimate and festive. Above all, it was a true celebration of heritage, culture, and the strong bond and love between these two souls. 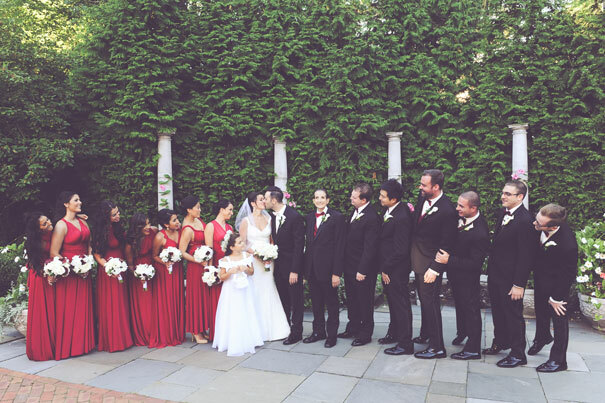 From the start of the day, as both the bridal party and groomsmen readied themselves, there was a sense of excitement and overwhelming happiness. The women, led by the stunning bride, swapped gifts and told hilarious stories over champagne, while the men gathered and did much of the same. The bridal portraits taken of Galya during this time were completely breathtaking. She radiated in her beaded lace gown and a detailed, sheer veil. After transporting to the venue, the groups prepared for the walk down the aisle. 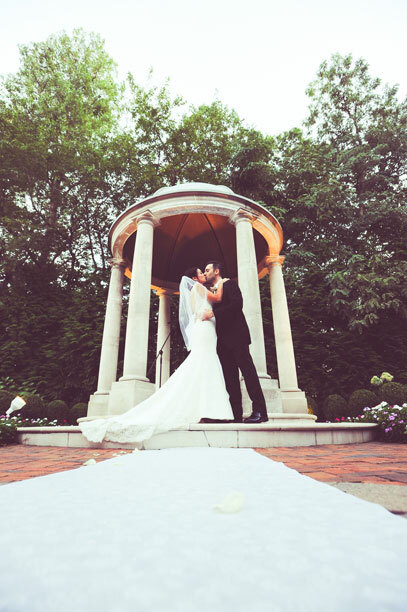 There wasn’t a dry eye in the place as Gayla, flanked by her parents, made her way to the gazebo under which they married in a traditional ceremony. From there, friends and family of the happy couple made their way to the venue for what was to become an exciting, energy-filled night of singing, eating, and a whole lot of dancing. The party kicked off with Galya and Bryan’s first dance as husband and wife, which was remarkable because it appeared as though they were dancing on a sea of clouds. Take about true perfection! The dancing never really stopped after that point. These folks knew how to have fun! As the band continued to play songs everyone knew and loved, more and more guests, young and old, made their way to the expansive dance floor. In what was one of the neatest things we’ve seen at a wedding thus far, the happy couple treated friends and family to a performance by a very talented belly dancer who, at one point, yielded none other than a sword. It was the perfect homage to their culture and heritage. The night winded down after guests enjoyed the delicious 4-tiered cake and, you guessed it, more dancing. There must have been some sore feet the next day! We were so thankful to be a part of Galya and Bryan’s first day as husband and wife. 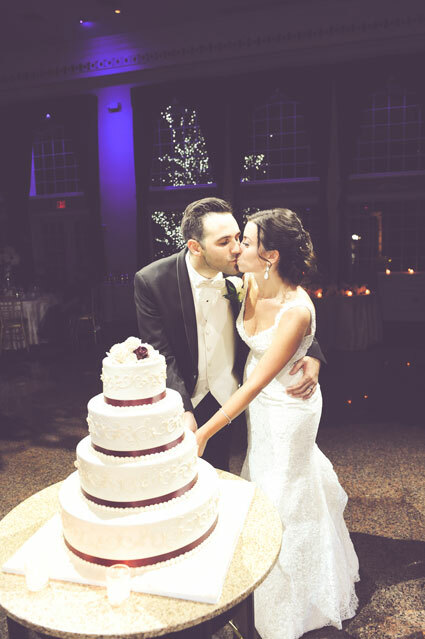 The love they have for one another was apparent and the energy they brought to their wedding was out of this world. Congratulations to the Galya and Bryan!